Teresa’s books now available on Amazon! A Gardener's Compendium: Gardening in a Twitter World In 140 Characters Or More is a collection of garden anecdotes, facts, history, poetry, quotes, and trivia categorized by context into themes and appropriate hashtags. A Gardener's Compendium is an invaluable resource for new gardeners, garden writers, bloggers, trivia fans, teachers, editors, researchers, social media enthusiasts, speakers, and anyone who desires to provide an interesting fact for presentations or is just looking for a source of like-minded inspiration. A Gardener's Compendium - Volume 2 Gardening in Time and Place is the second in a series that was planned to be one book. Readers will travel the globe through the ages with Teresa's favorite garden selections on world geography and history, the United States, and politics. Whether you are a gardening enthusiast, casual reader, writer, or an avid bibliophile, you will find Teresa's choices entertaining, insightful, and possibly eye-opening as to the original sources of popular gardening anecdotes and quotes. “As a professional horticulture and arboriculture consultant with a library approaching 5,200 books related to the subjects of horticulture, botany, arboriculture and all things gardening I believe that I am just about the best person to review a book written with gardeners in mind. 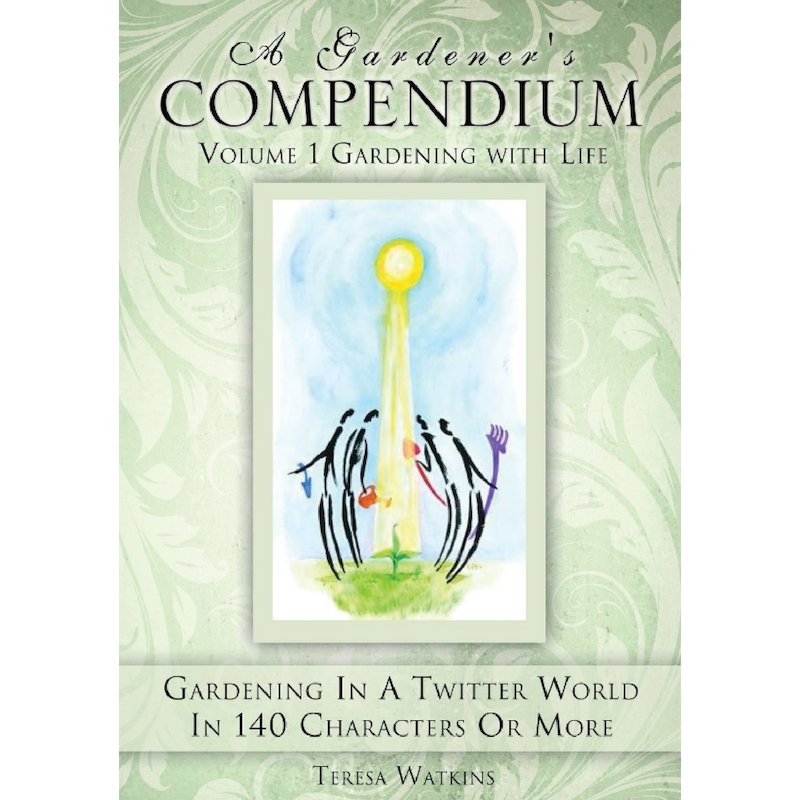 I received an autographed copy of Teresa Watkins' A Gardener's Compendium Volume 1 Gardening with Life and sat down intending to flip through it and then, sometime in the future, begin reading it. Instead, I was drawn into this amazing work as if it was a cherished family photo album. Five hours later and I still hadn't put it down. What reaches out from the pages most notably is the passion Watkins has for gardening, it's history and the cultural significance that making things grow has on all of our souls. Volume 1 Gardening With Life uses the works of an abundance of different literary icons that somehow flow together and presents a story all its own. The superb and ingenious linking of different poems forms a chain that carries the reader along a beautiful gardening path. Works from Hugo, Whitman, Emerson, Tennyson and many dozens of others who extol the value and human passion for making things grow bring this painstakingly indexed work to life.